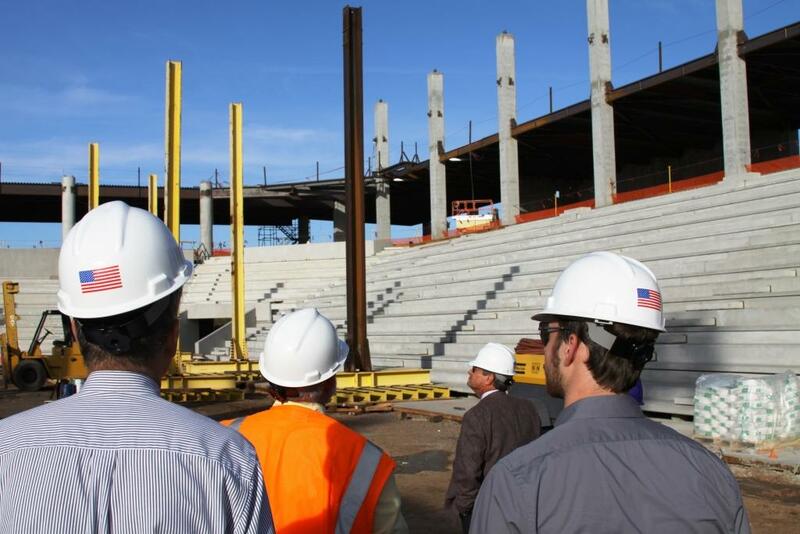 The Event Center’s pre-cast seating is nearly completed. This week, a large crane moved into place for the job of hoisting the trusses. 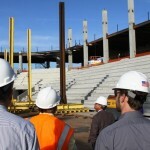 Representatives of Perini Construction conducted a job walk of the site. “It’s pretty cool,” General Superintendent Neil Baker said of the facility. “We want to encourage people to come out and take a look.” The job walks take place at 3:30 p.m. on the first Tuesday of each month and are open to all. To save a spot, call Jessica Ertell in Event Services at 639.6194. Click on a photo to scroll through the slideshow.